Our firearms examiners can examine and test a firearm for the purposes of establishing the condition and functionality of a firearm and to determine if a weapon functioned properly during a case incident. We can also perform test firing of the firearm & generate exemplar bullets and casings for comparison or for issues regarding some aspects of shooting reconstruction such as distance determinations or ejection patterns. Manufacturers often stamp serial numbers onto products such as firearms, tools, cameras, watches and automobile parts. These numbers can establish ownership or manufacturer identity. Individuals attempt to obliterate serial numbers by scratching, filing, grinding, over-stamping or welding new metal onto an obliterated area. Our scientists can perform a chemical restoration procedure on punched or stamped obliterated serial numbers. 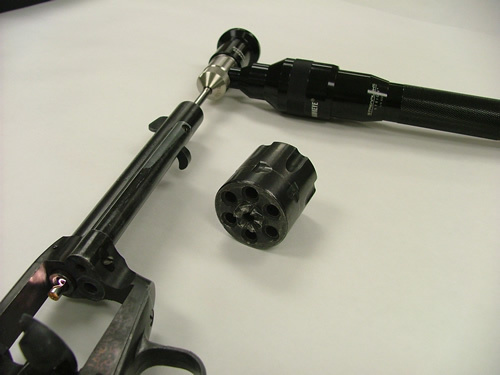 Semi-automatic and full-automatic firearms eject the fired cartridge casings from the firearm during the normal course of operation. Our scientists can analyze the pattern of ejected cartridge casings to determine the position of the weapon at the time of discharge. A tool mark is an impression mark that results from contact with sufficient pressure between a tool and a surface. The examination process involves comparing the striated surface of the “tool” to the striated surface within the questioned tool mark. Our scientists can also examine the evidence for additional evidence such as trace hair, fiber, and fingerprint evidence. Along with testing the firearms for functionality, our scientists can also generate test fires at our laboratory for comparison of those tests or exemplars to the evidence bullet or cartridge case. Firearm evidence examinations typically involve examining and comparing expended bullets and/or cartridge casings to determine whether they were fired from a particular weapon. 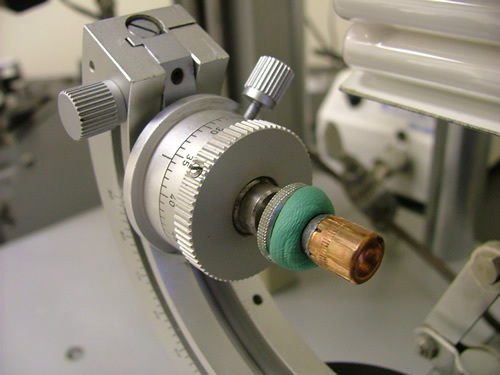 Through the use of our comparison microscope, our scientists can perform this examination and evaluate the evidence & test fire exemplars in your case.